Before I even begin my research for the cheapest term life insurance, I'd like to share this freebie that I found online. 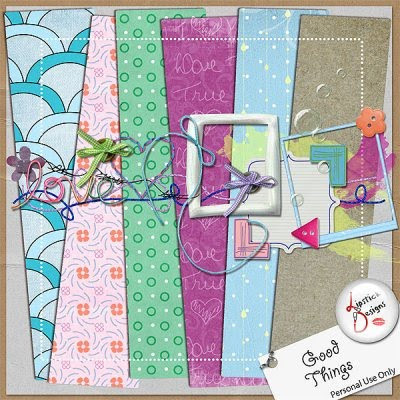 GOOD THINGS mini kit by Lipstick Designs. I'm hoping to scrap soon but I don;t think that is possible because I'm a little bit busy these days. I'm also designing kits that I'm uploading over at artscow and that eats up my time also. I have so many photos that I wanted to scrap but I will set it aside for a while since my designing mojo is here. Maybe if I got lazy making designs then probably I can scrap again.